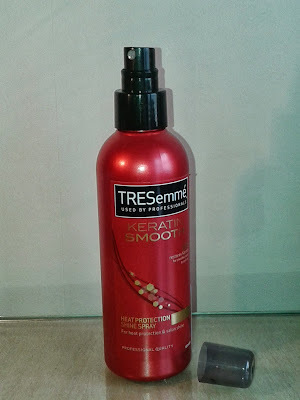 I was taken in so quickly by the advert for the TRESemmè Keratin Smooth range, not just because of the awesome red packaging but because of how it claims to tame frizz. I had been looking for it in shops for a short while when I discovered it for sale in Superdrug at half price. I decided to just go all out and try the whole range which consists of shampoo, conditioner, a deep treatment masque, and a heat protection shine spray. 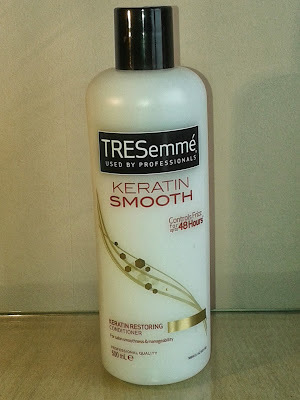 I used the whole line that evening and my hair has never been so smooth! Keratin is a key structural component of hair. 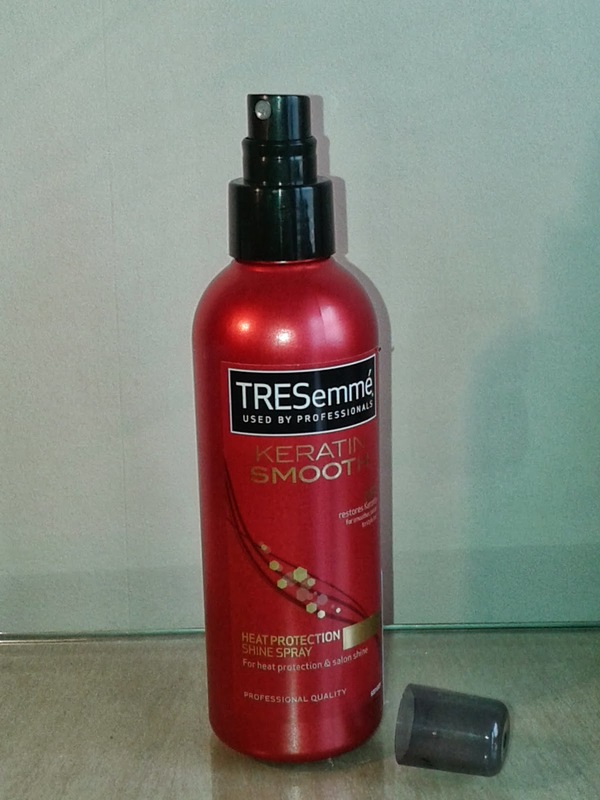 It protects the hair by forming a film over the hair strands, shielding them and making hair easier to style. So let’s start with the shampoo. It’s just like most shampoos, it cleans, lathers nicely, and felt lovely in my hair, it didn’t smell chemical but did have a pleasant, subtle, fragrance to it. 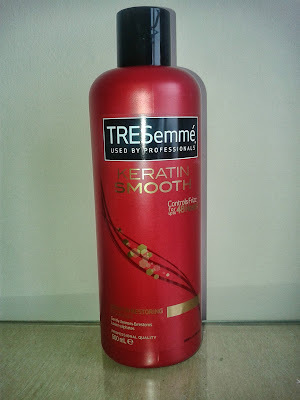 It is not a clarifying shampoo so doesn’t make your hair feel stripped or bare, but does do the job. The conditioner is a wonderful product; it comes out nice and creamy and while washing it made my hair feel silky smooth. 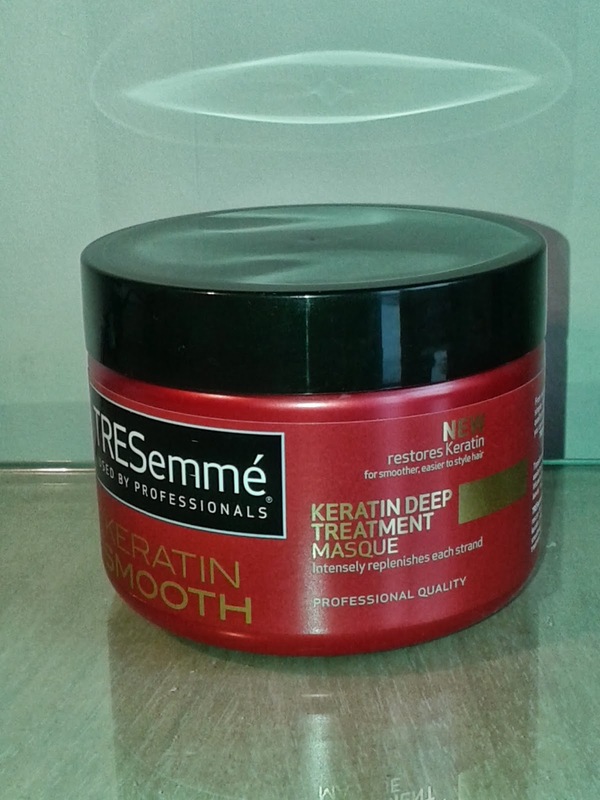 It really feels like a luxurious product and as they say on the advert not at salon prices! The keratin deep treatment masque is something I have never used before or any hair mask for that matter, so I’m not really sure what I expected. The product was very runny but I only needed a tiny amount on the mid- ends of my hair to give it the extra nourishment it needed. After leaving it on for the 3-5 minutes that it suggests I can really see how this is a once a week product, my hair was incredibly soft and still is as I write this 2 days after I used it! The heat protection shine spay is a nice light consistency that doesn’t feel greasy or like it weighs the hair down. 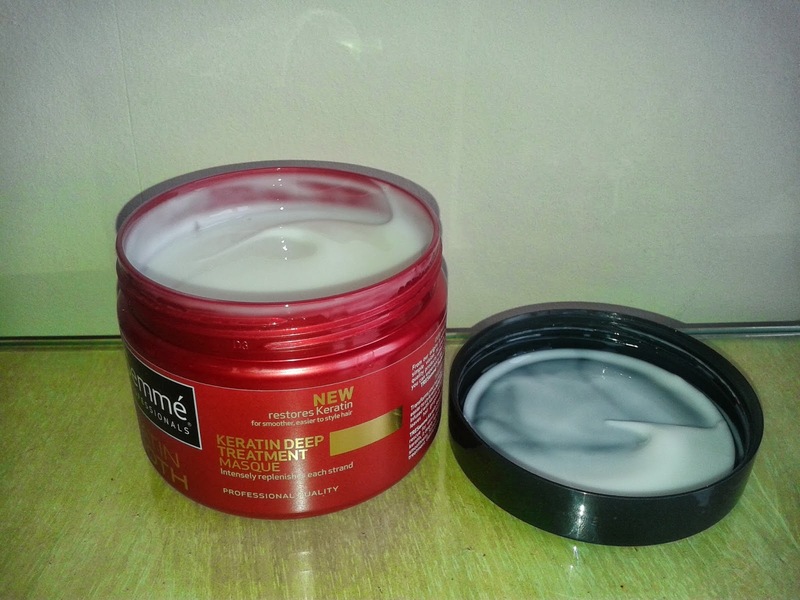 I like how it feels in my hair, I have used it both when my hair is damp and when it is dry. It suggests using it on damp hair before styling but, as most of my hair styling occurs in the morning having washed my hair on an evening I would tend to apply it when my hair was dry. Using the product on dry hair I have found found it distributes nicely and dries naturally quickly so while styling it doesn't steam as it evaporates. 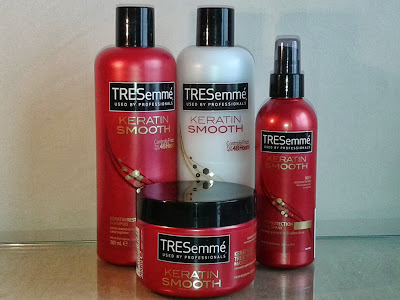 Onto my verdict for the reduced amount of frizz and easier styling as these products advertise. 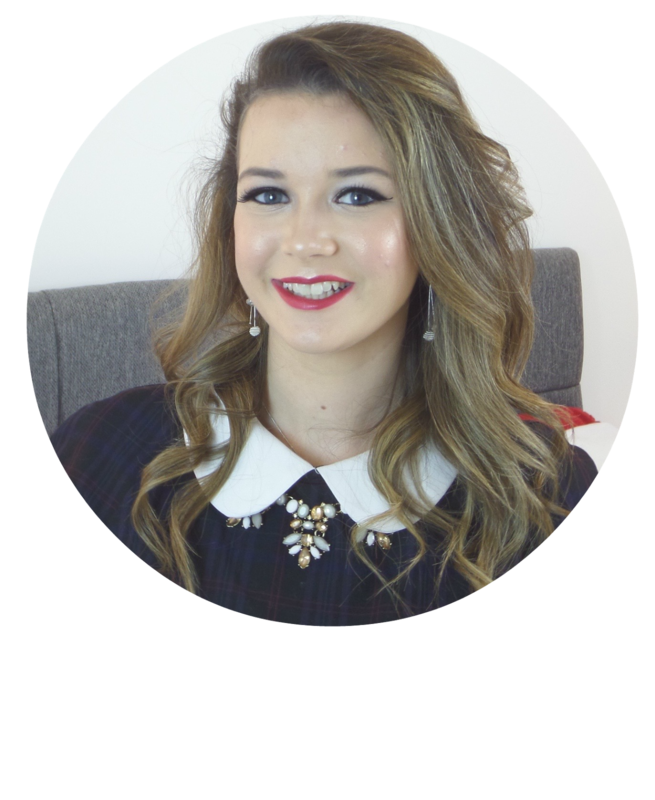 The products have reduced my frizzy hair particularly around my hairline and have generally made my whole head of hair softer and smoother which knocks on to make styling easier. I would recommend this range to the frizzy hair girl or guy for that matter, but at £4.99 each for the shampoo and conditioner (both 500ml), £5.99 for the heat protection shine spray (200ml) and deep treatment masque (300ml) it could quickly become an expensive treatment. As of 23/09/2013 they are still on offer in Superdrug, at £2.47 each for shampoo and conditioner and £2.97 each for the heat protection shine spray and deep treatment masque. Have you tried the TRESemmè Keratin smooth range? If so what do you think about it?